In a Short Sale, a property is sold and the lenders get paid less than the full amount owed, i.e. the payment is ?short?. This is an important alternative to foreclosure because the sellers move with dignity with less damage to their credit, the buyers get a house in better condition, the neighborhood avoids a vacant, vandalized, foreclosed house and the bank makes on average 30% more money. You can help America?s financial recovery because the more short sales we do, the quicker the economic recovery. This book is designed for real estate professionals, but it will explain a short sale in detail to anyone. 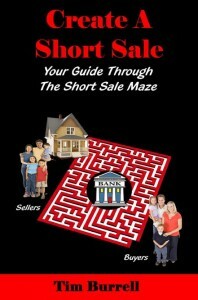 This guide will get you through the short sale maze. You not only have to get the buyer and seller to agree, you have to persuade at least one bank to take a loss. You have to convince the buyer to wait through the lender?s review process. Then, there are real estate commission regulations, rules about practicing law without a license and Multiple Listing Service regulations. Even closing the sale is more complicated. This book will take you safely through the maze.